Hey there, Magooshers! As we approach Advanced Placement test season, you might be wondering if all this extra studying is worth it. Will your AP test scores even help you get into your dream school? 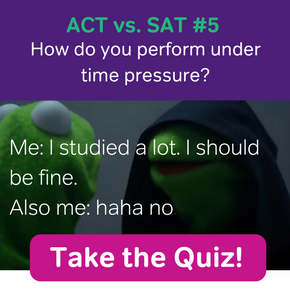 Luckily, our friends at University Language Services are here to help you understand the benefits of AP classes. Enjoy this post from their wonderful writer, Autumn! 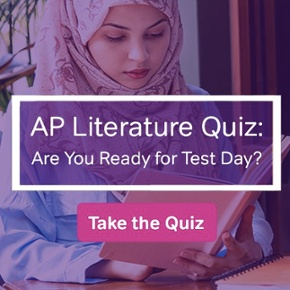 Many high school students choose to take advanced placement (AP) courses and the corresponding tests. But do those AP test scores directly affect admissions decisions? The short answer is no, your AP scores will not usually affect whether you get in or not. You don’t even have to send them to schools if you don’t want to. However, there are several benefits to submitting your AP scores, especially if you earned a 3 or higher. Here’s how your AP scores can affect your college experience as a whole. If you get a 4 or 5 on an AP test, you should definitely submit the score to the schools you are considering. Many schools will allow students who received these high scores to bypass certain introductory courses. In most cases, your AP score will be allotted a credit equivalent, which means you’ll already be ahead of the game when you arrive on campus freshman year. Not only does this mean skipping those intro courses, it also means you could potentially graduate early and save money on tuition costs. For example, if you receive a 4 or 5 on the French AP test, you will likely be able to skip the first year or even two years of French in college. The ability to start off in the second or third level French classes during your freshman year can allow you to meet your foreign language requirement much sooner than usual. Most schools will only give students credit for scores of 4 or 5, however, there are some schools who give credit for 3’s on AP tests, as well. It’s helpful to find out ahead of time which AP scores qualify for credit at the colleges you intend on applying to. Each school is different so check with the admissions office. Even if you’re not in a hurry to graduate college, you should still submit your AP test scores to schools. Admission officers love to see that you challenged yourself in high school and that your hard work ethic paid off. It shows them that you’re serious about your academics and that you’re prepared for college level courses. High AP test scores look great on your academic resume, so even if you decide not to send an official score report to schools, make sure you list them in the Honors and Awards section of your resume. Additionally, if you won an award as a result of your high AP test scores, you’ll also want to list that in the same section. For example, if you’re an AP Scholar because you got a 3 or higher on at least three exams, add that to your high school resume. It might just be the thing that helps you stand out to the admissions team. Even if your excellent AP scores don’t directly get you admitted to the college of your choice, they can still help you get financial aid. That’s because there are private college scholarships that are available to students who do well on AP tests. The college you are considering might also offer its own scholarships due to your AP scores. So if you took a few AP tests and scored well, it’s worth it to find out if the colleges you’re interested in have any scholarships for which you might qualify. In general, submitting your AP scores can only help you in the admissions process and beyond, especially if your scores are all 3 and above. While they might not directly get you into the college of your choice, they should at least help you save some money on your college education.